At CCI, we assist in reviewing and drafting of Indonesian employment contracts that are compliant with the Manpower and Labor regulations to secure your companies most important asset – your employees. Although employment terms can be outlined in a written or verbal manner, permanent members of staff should ideally have a written contract. Understanding Manpower Regulations are a key aspect of operating a successful business in Indonesia; this will ensure your employees are fairly treated, and reduce your risks of labor lawsuits. Employment Period & Probation Period. Leave allowances (including sick leave, religious holidays, and annual leave entitlements). Remuneration (including customary religious holiday bonus, allowances, and incentives). Scope of Work and Responsibilities. 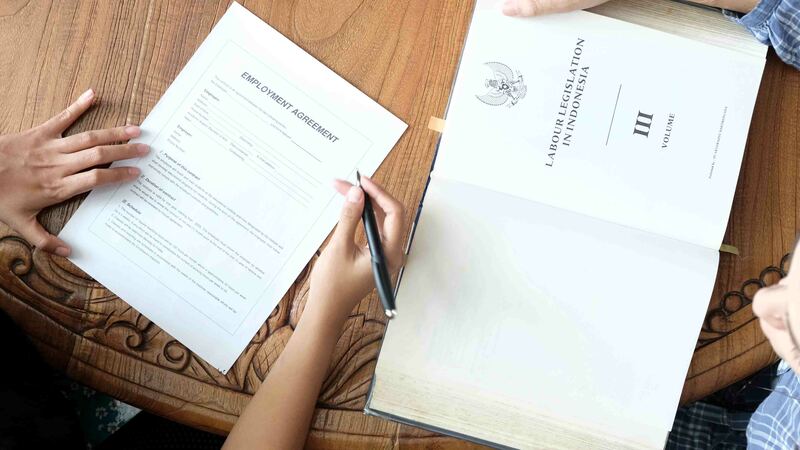 Employment contracts need to be drafted in Indonesian to be legally binding, with an optional translation in English. The employment contract should be signed by the Director of the company and the employee. A 6000 Rupiah stamp duty should also be included.